A perfect destination to break the shackles of monotony is Yelagiri, where you can bring out the adventurer in you and fly high in the skies. It is one of the adventurous hill stations allowing you to take a ride in the clouds and get enthralled by the experience. Paragliding lures enthusiasts to Yelagiri to discover the magic of the surroundings. The southside flying destination offers two paragliding packages - tandem paragliding to unleash the beast in you with an experienced pilot to guide you. There are also paragliding courses available for beginners to try their hand at something new. This is the perfect chance to catch amazing views of nature's pristine beauty below and the aesthetic clouds around you. The place calls out to all the adventurers out there to come try the thrilling and exciting roller coaster ride in the sky. If you are yearning for a relaxed evening in Yelagiri them the Punganoor Lake Park is where you should be headed to. The ultimate destination for some fun along with peace and calm this man-made lake park lures tourists with its charm and elegance. 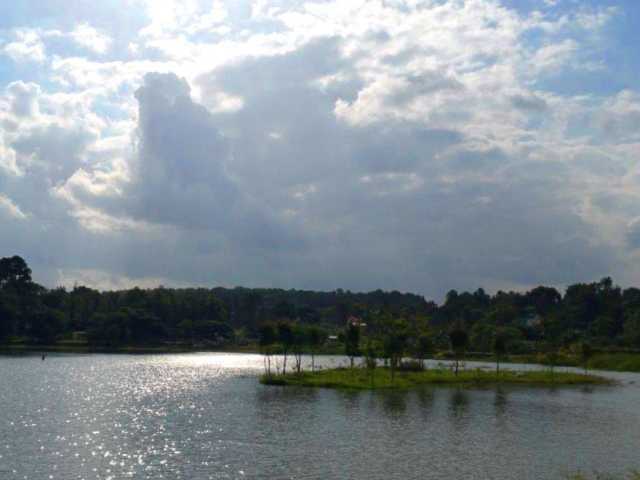 The Lake Park boasts of a musical fountain and offers boating activities for the tourists. Bordering the lake is a beautiful garden and an amazing kids park. The lake is just perfect for a stroll or to go hand in hand with your loved ones or simply take in the wonderful beauty that Mother Nature has to offer. Set in scenic surroundings with a calm reflection in the waters the lake will leave you mesmerized. 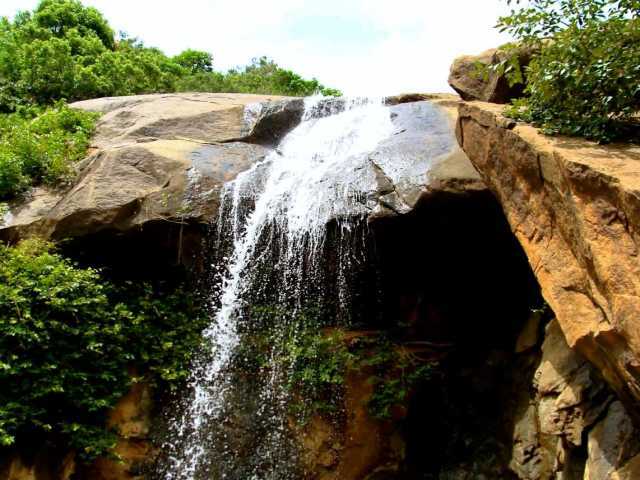 A romantic cascade dropping from the Yelagiri Hills is the Jalagamparai Waterfalls. The falls can be best enjoyed in the monsoon season when the waters will be in full flow from the top. It is famous as a picnic spot and also preferred for a day long outing with friends. The falls is surrounded by sweet smelling orchards and flower gardens. The drive to the falls is enjoyable by itself or you can simply trek to witness the beauty. It is located in an absolutely tranquil location with no crowds and hustle and bustle. The steep terrains amidst the lush greenery adds to the charm of the gushing waterfalls. The isolation of the falls attracts tourists to take in the tranquility of the scenic beauty. It is the perfect destination for photographers and nature lovers. The highest hill point at Yelagiri is the Swamimalai Hills, a towering peak, the view from which will leave you mesmerized. The hilltop gives a dazzling view of the entire valley below. The trek to the summit of the hills is a fantastic and enthralling experience by itself. The trek takes you through dense forests and lush vegetation of the hills. This is the ideal destination for all those interested in admiring the bounty of nature. It helps you to find the lost soul and perfect for those seeking a peaceful atmosphere. You can take a visit to this place to enjoy trekking and mountain climbing. This trek to the Swamimalai Hills gives a splendid view of the numerous settlements amidst the dense vegetation. Plan your trip to Yelagiri to visit all the famous places in Yelagiri. traveldglobe.com is your most friendly and accurate online travel guide, this will not only help you plan the your vacation but will also be your personal itinerary planner. places to see, things to do and explore everything at Yelagiri. You can view the expense or cost of travel, exact location, weather, temperature and time people usually spend to these places. All the places to visit has user reviews that will help you decide and plan better. Nestled in the peaks of Vellore is the quaint hill station of Yelagiri, a cluster of 14 beautiful hamlets spread amidst 4 beautiful mountains. The authentic surroundings have a tranquil atmosphere soothing your senses. The alluring vistas has subtle savouriness of fruit foliages tingling your nose buds. The town has attractions from various smaller peaks to nature trails to a manmade lake, Lake Punganoor. It is a paradise for trekking enthusiasts with a number of trek routes to discover and explore. Yelagiri is renowned for the popular paragliding sport. In this free flying sport, you can get a splendid aerial view of Yelagiri. Have a once in a lifetime soaring experience as you touch the skies.